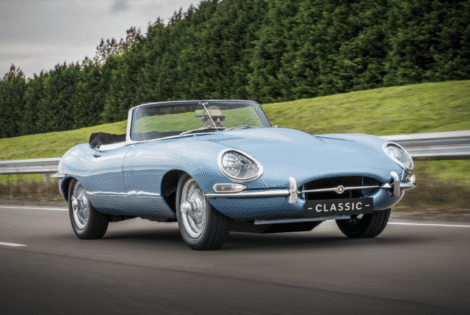 The Jaguar E-Type Zero will boast an all-new carbon fiber and aluminum exterior, a classic steering wheel, and a huge digital touchscreen. Barring those upgrades, the iconic car remains largely identical to the original iteration, down to the driving experience (albeit way less noisier, of course). The original DOHC six-cylinder engine and gearbox has been replaced with a 40kWh battery pack taken from Jaguar’s all-electric i-Pace SUV, and it fits perfectly where the original engine was.